The Academy Awards will be presented on Sunday February 26th and that means it’s time for you to participate in our 6th annual Oscar contest. Click on our simple survey below to select your favorite nominees. The participant that picks the most winners wins a free night stay at The Scranton Seahorse Inn. 2nd place prize is 3 pairs of tickets to Madison Art Cinemas and 3rd place is a DVD of the winner for Best Picture. You are free to enter at anytime (just once) and can modify your answers up until 6pm on Oscar night. If you haven’t been going to movies now is the time to get dressed and get out for the night. There are A LOT of great films to see right now. Share this with your friends! The envelope please! Winner of our 5th Annual Oscars Contest is….. The Academy Awards will be presented on Sunday February 28th and that means it’s time for you to participate in our 5th annual Oscar contest. 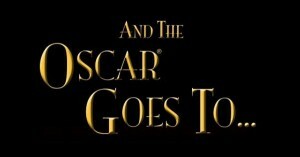 Click below and pick your favorite nominees to win an Oscar. 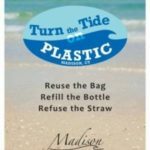 The participant that picks the most winners wins a free night stay at The Scranton Seahorse Inn and two tickets to the movies at the Madison Art Cinemas. In the event of a tie we’ll pick an entry at random. 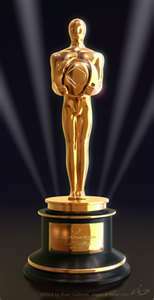 Winner will be announced the day after the Oscar ceremony via our Facebook page. 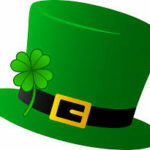 Good lucky everyone! Thanks to everyone who played. It was a strange year with lots of surprising (but well deserved) winners. No one picked all the winners in our contest but Craig Silan (a regular guest here at the Scranton Seahorse Inn) from Brookfield CT picked 9 correct winners and won a free night at the inn. The sweet spot was 7 correct answers which is where 189 of you ended up. Only one person picked Mark Rylance to win Best Supporting Actor (ironically all her other picks were wrong!) and 70% of you picked Sylvester Stallone to win that category. The other surprise was 80% of you picked the favorite The Revenant to win Best Picture & only 5% picked the real winner which was Spotlight. Thanks again everyone I had a lot of fun reading your picks. I’m ready! Do you have your Oscar picks ready? 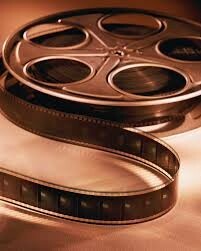 You still have time to get to the theater before the Oscars are handed out on Sunday February 22. If you’re feeling competitive (or lucky) you can participate in our annual Oscars contest right now by clicking the link below. The person who picks the highest correct number of winners wins a free night at The Scranton Seahorse Inn. As always, while at the inn look through our DVD library and watch any of our hundreds of movies while you relax in your guest room. We add to our collection all the time! Good luck everyone. This contest closes on 2/22 @ 4pm. In the event of a tie – a entry will be selected at random. Results will be posted on this blog the day after the awards show. Check back to see if you’re the big winer. You know how we love our movies here at the Scranton Seahorse Inn. We just added a bunch of movies to our DVD library that include many of this years Oscar nominees. So if you haven’t seen Boyhood, Gone Girl, Grand Budapest Hotel, or Guardians of the Galaxy they are here for your viewing pleasure. We’ll be adding more as they are released to DVD. 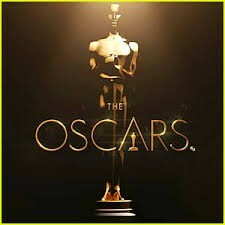 In addition to our celebration of Oscar Season we are offering free movie tickets to the Madison Art Cinemas for all movies that are playing in that theatre that have a nomination for an Oscar in any category. Click the link above to be directed to their website for movies listings and schedules. Within the next couple of days I’ll be creating the ballot for our 4th annual Oscar contest where you can win a free night at The Scranton Seahorse Inn, dinner at Elizabeth’s Cafe and two movie tickets. Congratulations Lisa for predicting 8 out of 8 winners in our Oscars contest. 15 of you answered with 100% accuracy and resulted in the random drawing from which Lisa’s name was selected. We also had 4 participants whose predications were all wrong which has me thinking that next year there needs to be a prize for that too!. Lisa will be receiving her gift certificate for a One Night Getaway at the Scranton Seahorse Inn plus a copy of the Argo DVD which was last years best picture winner. The last question I asked was for you to write in your favorite movie of all time which I know is hard to do. The wide range of answers proves that entertainment is subjective and that everyone finds something to love in almost every story told through cinema. Here’s a sample of the answers: Camelot, Wizard of Oz, To Kill a Mockingbird, Finding Nemo, Monsters, Inc., The Godfather, Rocky I and Rocky V, Groundhog Day, & Europa Europa. The movie listed as a favorite most frequently was Shawshank Redemption. I love that movie too and is in fact already part of our DVD library. I loved all the answers and will save the list and use it when I am adding to the Scranton Seahorse Inn collection. Next time you’re staying at our bed and breakfast be sure to look through our DVD collection and take your favorite(s) back to your guest room and relax with a good movie. Thank you again everyone and once again congratulations to Lisa! See you at the inn! March is certainly rolling in like a lion with cold weather and a little bit of snow. We’ll beat that ferocious entry with a great last minute special for all our available rooms. 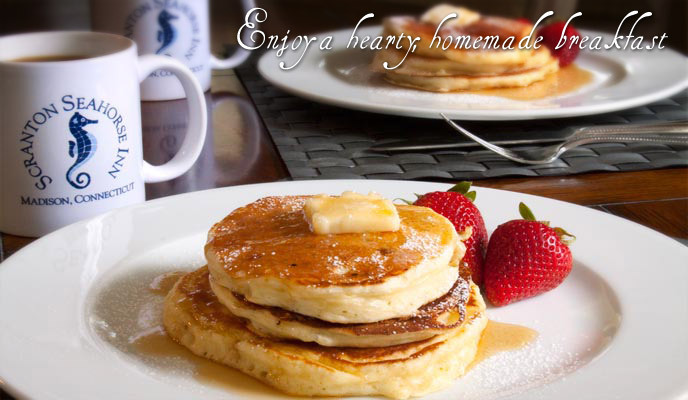 For the last days of February and first days of March our rooms are just $110 and that includes a full breakfast. Book on line or over the phone at 203.245.0550 and mention our blog posting to take advantage of this last minute deal. 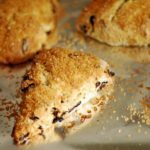 Spend oscar weekend on the Connecticut Shoreline at the Scranton Seahorse Inn! Not valid for existing reservations. Cannot be combined with other specials, discounts or offers. It’s Oscar season which means it’s time for our annual PICK THE OSCAR WINNERS contest. In the past we have given away a DVD of the Best Picture winner from the the prior year. This year I’ve upped the jackpot to not only include the DVD (Argo won best picture last year) but also a gift certificate for a free night at The Scranton Seahorse Inn. All you need to do is click the link below which will take you to the contest I’ve created on Survey Monkey. There are 8 categories you need to select winners for (1 selection for each question is required). Fill out your name and email address and your done. I will only reach out to you via the email address you provide if you are the winner. In the event of a tie we will randomly select a single name to be the winner. If you’ve stayed here before you know we love movies and you already know about our DVD library. Guests have called our collection everything from “great” & “eclectic”, “crazy” & “awesome”. This is the time of year we add to that collection so return guests should be sure to take another look on your next visit. If you haven’t stayed here yet we hope you do soon and when you do be sure to grab a few DVDs from our library (this is also where you’ll find the free homemade cookies) and watch some good movies. NOTE: I added the question “What’s your favorite movie of all time?” to the end of the survey. I’m curious to see how everyone responds and I’ll be sure to share the results. If we don’t already own the title that gets the most results I’ll be sure to get it. By the way my favorite movie, To Kill A Mockingbird, is already in our library. Good luck everyone! It’s time for our annual Oscar Contest! We love the movies so Oscar time is always fun around here. If you like movies (or even if you don’t!) you can participate in our contest to be eligible to win a FREE night at the inn and a DVD of Beginners, one of our favorite movies from this past year, and Oscar nominated for Best Supporting Actor. It was a great year for movies and we have recently added many of the Oscar nominated films to our DVD library. 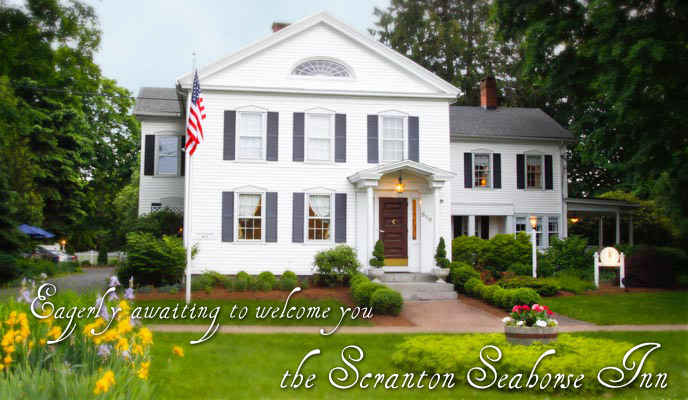 So if you have yet to see The Help, Moneyball, Bridesmaids, The Warrior, Beginners, Margin Call, The Ides of March, Midnight in Paris, The Tree of Life, A Better Life, and Harry Potter and the Deathly Hallows Part 2 now is the time to stay a night or two at the Scranton Seahorse Inn to watch a few. The contest is easy, just follow the link below and enter your name then answer the 10 multiple choice questions about this years Oscar nominees. Sorry….the contest is closed….Good Luck! 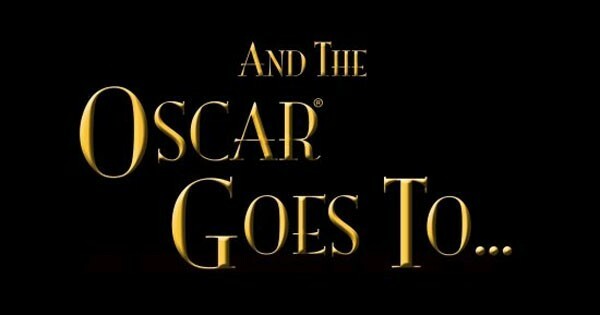 Speaking of the Oscars. There are two great events happening on the shoreline on Sunday night that include live telecasts of the ceremony. The Oscars in Madison is happening just steps from our door and includes a gourmet meal, champagne and cocktails, an exclusive fashion show and the telecast of the Oscars on the big screen at The Madison Art Cinemas. At the amazing Katherine Hepburn Cultural Arts Center Hollywood comes to Old Saybrook! Experience the Oscars live on the big screen in HD. Dedicated to Oscar-winning actor and Connecticut resident Art Carney. Walk the red carpet, enjoy hors d’oeuvre and cash bar, and participate in the Silent Auction and raffle. All proceeds to benefit The Kate. So whether you want to go out and celebrate the Oscars in high fashion or stay in with a bottle of wine in one of our comfy cozy guest rooms we’re ready for you. All rooms on Sunday are offered at a 20% discount. Call us today at 203.245.0550 and reserve your favorite room. Dont forget to enter the contest!!! Winner will be announced on Monday morning.